Alloy bar end shifters compatible with Shimano Dura Ace and Ultegra 11 speed. Sold per pair. As long as you select the Microshift version, yes these will work. Will These Mount To The Downturn Or Thumbie Mounts? These bar-end levers unfortunately can't be used on the downtube as the fittings differ. They may work with some thumb shifter mounts but they don't work with the Jtek ones we stock as the cable holes unfortunately don't line up. Would These Work With A Deore Xt M8000 11 Speed Set Up? Hi, unfortunately not, these can only be used with Road systems & not MTB. 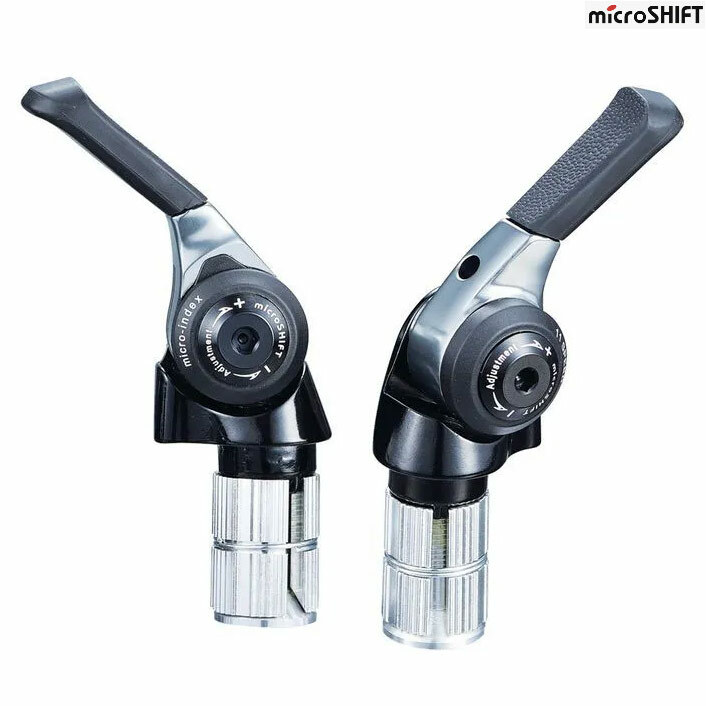 Will these shifters work with 105 as well? These will be suitable for the new 11spd 105 groupset as well.